Vincent van Gogh Paintings Screensaver is slide show screensaver that covers 15 paintings by Vincent van Gogh. The screensaver supports dual monitor and background sound. It is highly customizable. You can customize/select from 120 transition effects and make/edit your music playlist or disable the sound. You can set how Vincent van Gogh Paintings ScreenSaver to display the pictures by setting their order, size, position, and duration. 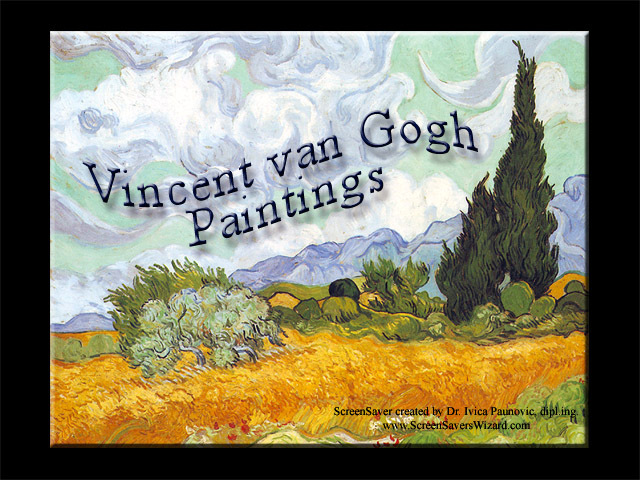 Enjoy slide show screensaver that covers 15 paintings by Vincent van Gogh. A. High quality, compatibility and performance on all PCs. E. F2 Sets active image as Desktop Wallpaper. See the world of Vincent Van Gogh . Qweas is providing links to Vincent van Gogh Paintings ScreenSaver 1.0.0.1 as a courtesy, and makes no representations regarding Vincent van Gogh Paintings ScreenSaver or any other applications or any information related thereto. Any questions, complaints or claims regarding this application Vincent van Gogh Paintings ScreenSaver 1.0.0.1 must be directed to the appropriate software vendor. You may click the publisher link of Vincent van Gogh Paintings ScreenSaver on the top of this page to get more details about the vendor.